This sideboard is made primarily from solid cherry but, the panels are solid, beautifully figured maple that we cut ourselves from a log salvaged from a local Revolutionary War era cemetery. This piece came as the result of us wanting to make a sideboard for years and finally finding ourselves with enough open time to create whatever we could dream up. 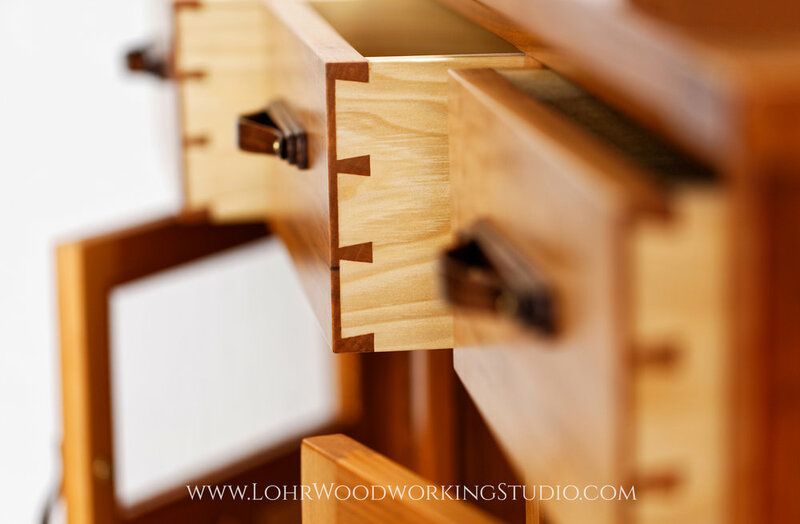 The drawers feature hand-cut dovetails, the shelves inside are adjustable using a sawtooth shelf support system, and the drawer pulls were hand-bent walnut pinned in place with brass rivets. 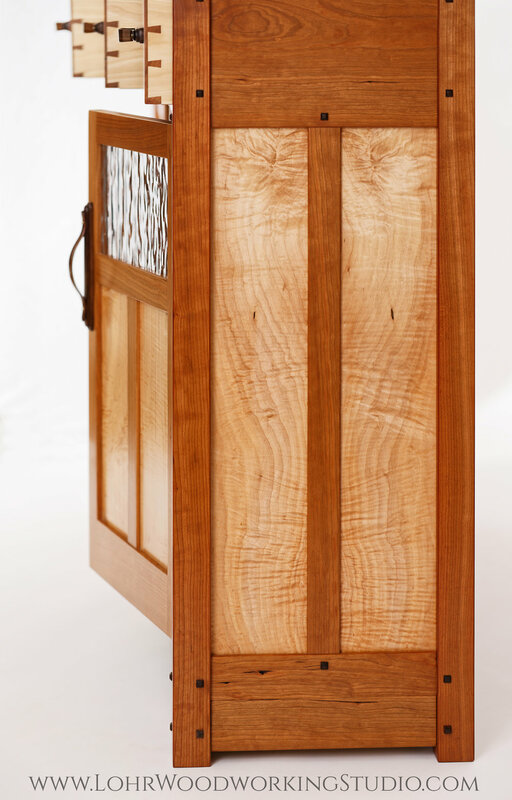 The textured glass in the doors adds a beautiful effect inside the cabinet when it's hit with light and there is a bonus hidden drawer that is opened with a push of a button! There is so much detail (and storage) in this piece. We had such a fun time designing and creating it.